The 'Research Skills' portal contains six online programmes covering skill sets and professional development for researchers at all levels, from postgraduate students to postdoctoral, early career and experienced academics. Collectively developed by over 50 universities worldwide, the programmes encompass basic research skills, including statistical analysis; research integrity (including human subjects protection); leadership and management skills for early career researchers; and support for new and experienced doctoral supervisors. "It is important for students to think not just about their excitement for getting involved in a cutting edge area of research, but also to understand the wide range of skills and abilities which are part of doing a PhD." 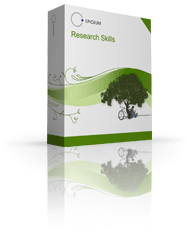 What is Research Skills Online? What does a course look like?